A Texas grandmother and her husband fended off two alleged robbers wearing clown masks and armed with a machete. They used a child’s scooter. The confrontation took place in Texas City in the early morning hours of Feb. 1, according to KTRK-TV, as Aretha Cardinal and her husband Joseph Nelson were sitting outside their home in a parked truck. “I’m sitting here talking to my wife and the next thing I know, when I look up, I see somebody running toward me with this white clown mask on and a machete,” Nelson told Houston’s KTRK-TV. Instead of handing over the money, the couple chose to resist. Nelson reportedly struggled with the assailant to take control of the machete and, at the same time, called out to his wife to find a weapon. Cardinal got out of the truck and grabbed her granddaughter’s scooter from the front yard. The woman then started hitting the machete-wielding bandits with the child’s scooter, according to the Galveston County Daily News. She also struck the suspects’ vehicle with the scooter, according to the Daily News, smashing the window. Nelson told KTRK-TV he managed to wrest the machete away from one of the suspects and set off in pursuit. The couple’s adult daughter called the police and they arrested both suspects. 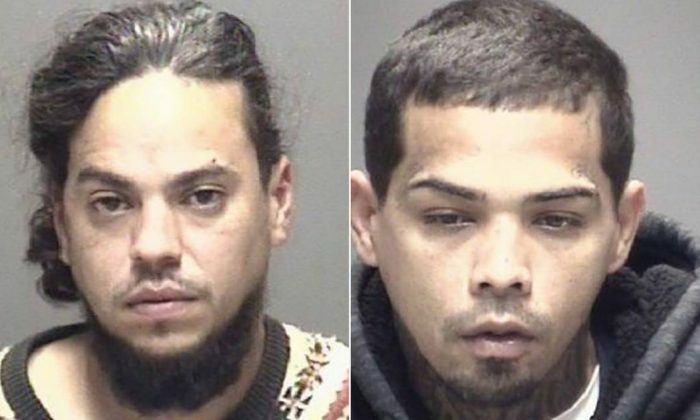 Luis Jimenez, 32, and Jose Lugo, 35, have been charged with aggravated robbery and are being held in Galveston County jail. A $100,000 bond has been set for each of the suspects. Texas City is a town of nearly 50,000 residents located along Galveston Bay near the Gulf Coast. 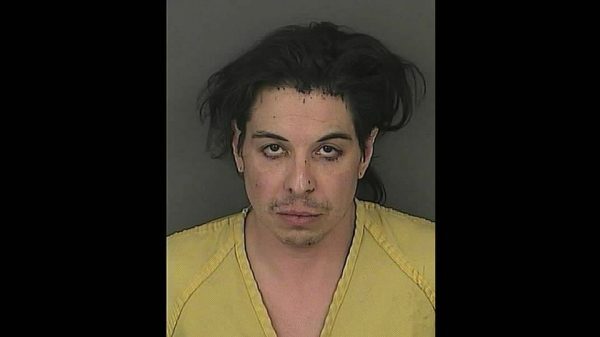 In May 2017, a scooter-riding man wearing clown makeup and a knife-tipped glove fatally stabbed a homeless man in the parking lot of a Colorado taco shop, the Denver Post reported. Christian Gulzow, 37, was later found guilty of the second-degree murder of Brian Lucero, who died from a stab wound to the neck. Gulzow allegedly wore “demonic, white-faced” clown makeup wore a glove with 2-3 inch blades affixed at the end of each finger. Family and friends described Gulzow as a troubled man who often rode around Denver on a scooter dressed up in ghoulish attire, including that of a vampire or clown. The Miami Herald reported on an incident at a Little Caesar’s pizza shop in Florida where a man wearing a clown mask attacked an employee with a wooden board and a pair of scissors. The Holly Hill Police released surveillance video of the bizarre incident. In New York City, meanwhile, police arrested a knife-wielding clown who terrorized a 16-year-old boy on the subway. Thomas Smith, 53, was taken into custody on Oct. 13, 2016, hours after police released surveillance stills of the Oct. 5 incident showing Smith with clown makeup on and dressed in multicolored attire. The Manhattan man was charged with menacing, according to a police bulletin. “Menacing is no laughing matter,” Chief of Detectives Robert Boyce said in a tweet following the arrest.